Groupe Rock 'n' Roll US de l'Arkansas, les Pacers était composé de Kern K. Kennedy, Johnny Ray Hubbard, Russ Smith, Joe Lewis et Jack Nance. 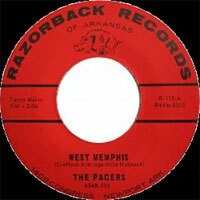 Ils ont accompagné Sonny Burgess pendant sa période Sun et Razorback Records (57-60). Ils ont enregistré au début des années soixante pour Razorback, le label de Bobby Crafford. 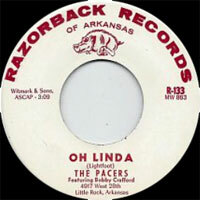 US Rock 'n' Roll group, The Pacers started with Sonny Burgess, Kern K. Kennedy, Johnny Ray Hubbard, Russ Smith, Joe Lewis, and Jack Nance. In early 1957 Joe and Russ left the band; Russ going to work with Jerry Lee Lewis and Joe to further his own career. 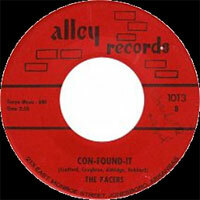 In August of 1957 Jack joined Joe working with Conway Twitty and Bobby Crafford joined the Pacers as drummer. In March of 1958 J.C. Caughron joined the Pacers as lead guitarist. Caughron died in a car crash around 2007. 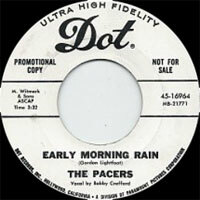 In 1962 Jim Aldridge joined the Pacers playing sax. Then in 1959, Fred Douglas played one year for Hubbard who took some time off. 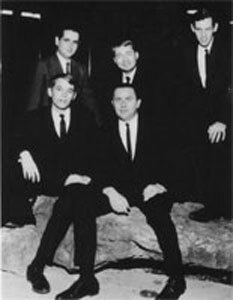 Fred replaced Hubbard as bass player in 1963 when Hubbard retired. Hubbard passed away in 2015 in Newport, AR. Charles Watson II plays fiddle on the "Still Rockin' and Rollin'" album.